The Galereya Avenue Hotel is a true combination of style, service and hospitality. The interiors, designed in classic style and decorated with Renaissance art reproductions, and high-level comfort create atmosphere of elegance. The kind and diligent staff will make you feel yourself at home. 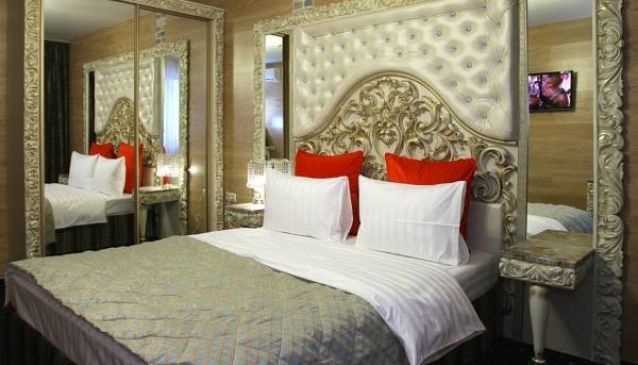 The hotel offers 170 single and double rooms with king-size beds. If you want to spend your evening in pleasant and cozy atmosphere, the hotel restaurant of European cuisine is always at your service. The breakfasts with wide range of meals are included in the room price. Galereya Avenue is situated in a few minutes walk away from the metro station 'Prospekt Mira'. The main sights, such as All-Russian Exhibition Center 'VVC' and National Sports Complex 'Olimpiyskiy', are very close to the hotel. There are also various restaurants, bars, museums, churches, theaters (the Bolshoy and Maly Theaters, the Operetta, the Old Moscow Circus on Tsvetnoy Bulvar), parks, shopping centers, etc. Here, at the bank of the Moscow River, you can see the Church of the Ascension, built in the XVI century, which became a UNESCO World Heritage Site in 1994.